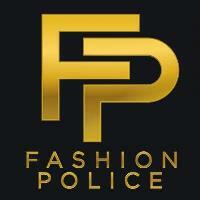 Fashion Police is returning to E! in August with Melissa Rivers as a host. Rivers serves as an executive producer of the show and has also hosted shows such as Oh Baby! Melissa’s Guide to Pregnancy and Oh Toddler! Surviving the Early Years. She was also a commentator on TV Guide Channel and a features reporter for CBS This Morning. For more on pop culture and celebrities’ fashion moments, follow Fashion Police on Twitter.